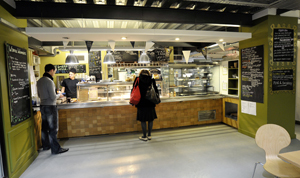 Welcome to 8th Day Co-operative, located in the university area of Manchester our worker’s co-operative has been providing the people of Manchester with great food and products since the 1970’s. 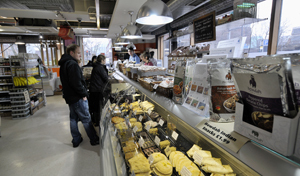 In our Health-food shop, you will find the largest selection veggie, vegan, organic food and Fairtrade food in the North-west. We also sell a broad range of nutritional and herbal supplements, cruelty free, natural and organic cosmetics, eco-friendly cleaning products, vegetarian and vegan alcohol and so much more. Copyright © The Eighth Day Co-operative Ltd 2017. All Rights Reserved. Design by Peevish Web Design.